How can we stop hair loss. What actual hair Loss remedies work? What Treatment for Hair Loss is most effective? do not contain protein. Hair vitamins are needed but in only small amounts and in the proper dosage for Hair Loss . However only one product is a Hair Supplement that supplies the hair with actual protein to Feed the Hair Protein. That product is Help Hair® Shake. 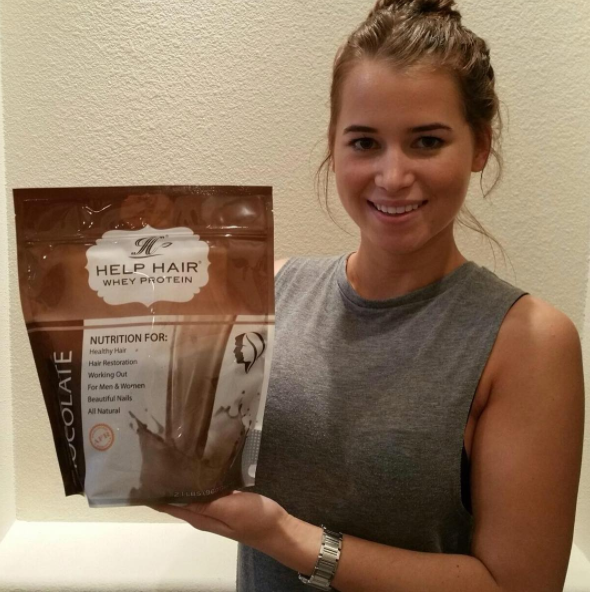 Help Hair Shake contains all the proper amino acids for healthy hair. Protein is made of amino acids. Amino acids are building blocks that make up the hair shaft, hair follicle and without protein the hair follicle would shrink and fall out. Protein is essential for hair growth which was recently reported in a New York Times article. But not all amino acids are good for hair. Some amino acids found in work out products can cause or accelerate hair loss. For example Creatine is made of three amino acids. See SHAPIRO Chart. Creatine raises DHT levels which can cause hair loss. Arginine is extremely anabolic and is the main amino acid in creatine. Many whey proteins add arginine to their protein. It is great for recovery workouts but will accelerate hair loss. What about natural proteins found in nature? Protein from steak, chicken pork or anything natural in nature will not have a negative impact on hair growth contrary to what many vegans and vegeterians think. This is because the body needs protein for hair. The amount of protein should not be 1gm/kg of body weight which many body builders use for heavy weight lifting. Although the body can metabolize these natural proteins at a certain rate of 10gms/hour, a large amount of protein will tax the kidneys which is extremely unhealthy. But worse than "grazing" protein all day long is using Whey protein isolates which are fast acting in the blood stream. These have been shown to increase T levels in the blood stream (Sharp) and have the adverse side effects of raising Free T which converts to DHT. So be careful if you have a family history of hair loss. If you are like most people who are sensitive to DHT and (IGF-1 serum) which would accelerate your hair loss than Help Hair Shake is a good source of protein for working out without your hair falling out. We have many success stories. If you want to share your success story please email us at info@helphair.com. 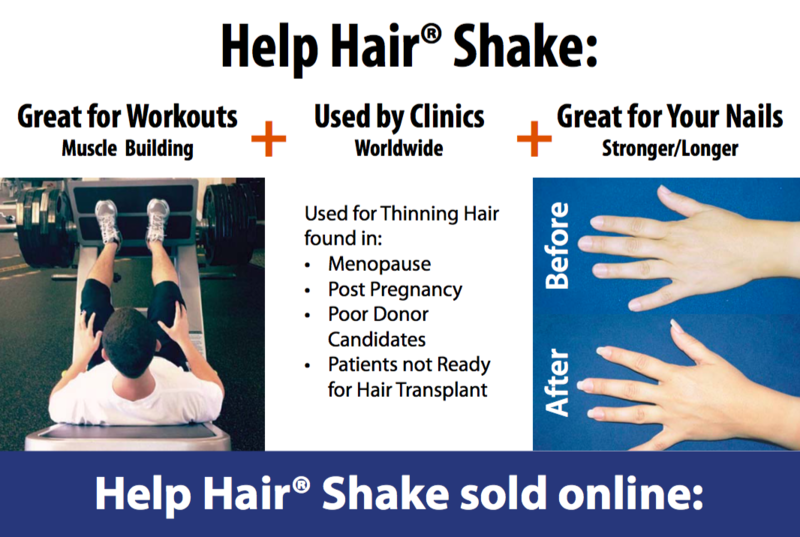 Help Hair® Shake was formulated by a Hair Doctor, Dr Larry Shapiro who studied thousands of hair loss patients who had suffered from accelerated hair loss from using work out products. 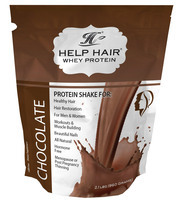 By designing a protein shake for hair many patients reported less shock loss, less shedding and fuller thicker hair.